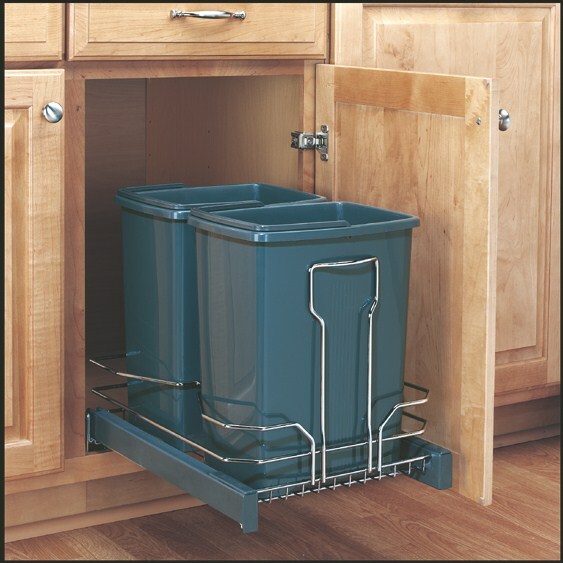 • Rev-A-Shelf 5469 Series Pull-Out Waste containers feature double 15 Quart polymer containers nesteled in a heavy guage wire frame with built-in handles for easy removal. • The 5469-15DM-2CR glides on 18” bottom mount, Full-extension self-closing quadro slides. 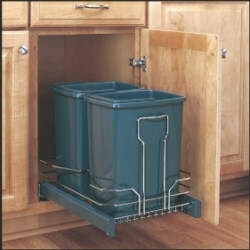 • Fully adjustable door mount branches are also included.